I can barely breath right now – I’m crying so hard. Looking at these pictures of Caleb just melts my heart. My UBER talented friend – Alexis Hardy – is such an amazing photographer. 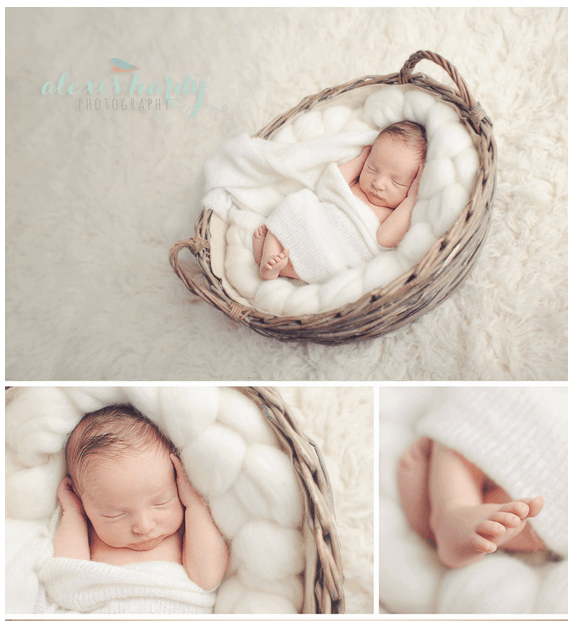 She has a true gift and was really able to capture the innocence of my son’s first few days. She has left me speechless… which is pretty hard to do. Click here to see the rest of the set. I still can’t believe this little man is in my life. OMG! The pictures are gorgeous. I love the one of you and him. So sweet! He looks like Liam in the third picture from the bottom, on the right! Wow, beautiful pictures. And you look GORGEOUS!! Every picture is just so sweet! I’m so happy he’s here!! Incredible pictures! I really love the one of you and Caleb. You’re both so beautiful! I could just kiss his little toes and feet. amazing just amazing! Enjoy momma Sweeney! It’s just so remarkable how identical he looks to Liam. Wow. CONGRATULATIONS!!! He is gorgeous. Seriously…I logged on to see if you had your baby, and I really thought this was an ad for a baby product. I’m very happy for you and your lovely family. I bet the kids are very excited!